Round up your scraps, pre-cuts and stash fabrics for scrap happy quilting! 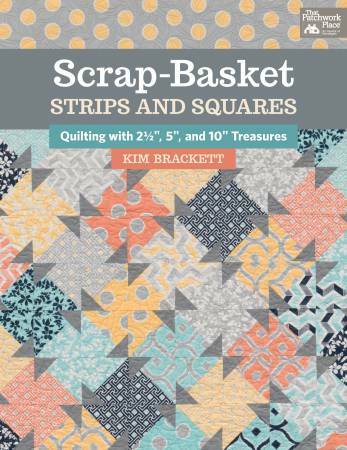 Quilting expert Kim Brackett is back with 18 all new designs that are ideal for the eclectic assortment of fabrics you love. Scrappy quilt projects with concise, easy to follow instructions mean you'll be quilting up a storm in no time. Discover how to create pinwheels, geometric motifs and flower designs from 2 1/2" strips, charm squares and layer cakes. Yardage requirements for both precuts and stash options are provided for each project.